The Littlewoods Pools empire was founded in 1923 when John Moore, John & Colin Askham, and Bill Hughes joined together to start a pools business. Their business was based on the same principal as a similar scheme started in Birmingham by John Jervis Barnard, who had latched on to the countries passion for Football and Betting. At first, the business was not a success and all four men looked to lose their two hunder pound investment, but John Moores brought out high friends share and persevered. Littlewoods was born and became one of the largest names in England. In 1931, now a Millionaire, John was able to disengaged himself and start up a mail order catalogue company. In 1938 a purposes built building to house the Littlewoods pools empire was constructed at Edge Lane, Liverpool. 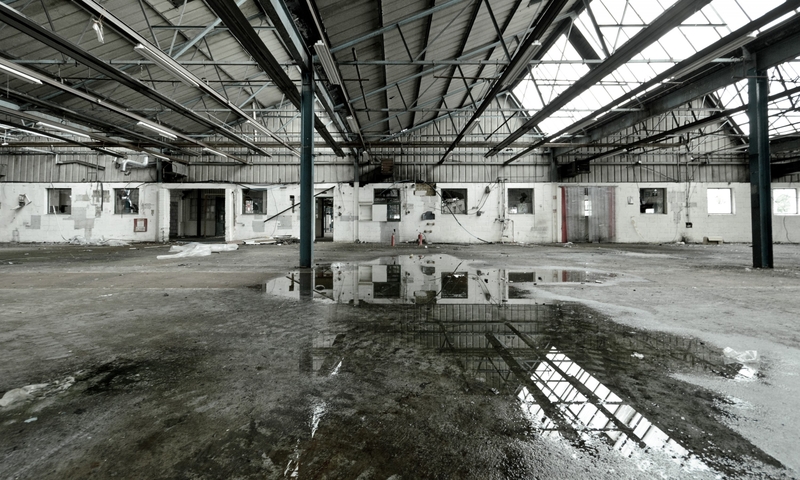 The site was responsible for the production of all of the pools slips and the mail order catalogues. During World War Two, the factory was used to print 17 million national registration forms in just 3 days. The floors of halifax bombers were assembled within the factory, as well as barrage ballons and wollen materials. During WWII, the Government Censorship Agency, MC5, was housed there. After the war, the building reverted to Littlewood Pools operation and then later became the headquarters for Littlwoods printing division, JCM media. When JCM media vacated the building in 2003, the lease was sold to the Northwest Regional Development Agency (NWDA) and the building has since remained unoccupied.